We are pleased to offer to let this detached building situated in a good position, set back from the road and close to Marple town centre. The property offers approximately 1000 square foot of accommodation divided into 9 offices over two floors . Having been maintained to a good standard and benefiting from gas central heating, double glazing and security shutters to the ground floor. The offices would be suitable for most uses and an internal viewing is highly recommended. with carpet and stairs to the first floor. with double glazed windows, security roller shutters, fluorescent lights, radiator, power points, telephone/computer point, carpet. with double glazed windows, security roller shutters, 2 fluorescent lights, radiator, power points, telephone/computer point. with base and wall units, working surfaces, inset stainless steel sink unit, radiator. leading to the ladies and gentleman's toilet, radiator, vinyl flooring. with pedestal wash basin, low level suite, security roller shutters to the window, vinyl flooring. with vanity wash basin, low level suite, extractor fan, Worcester combi gas central heating boiler, vinyl floor covering. 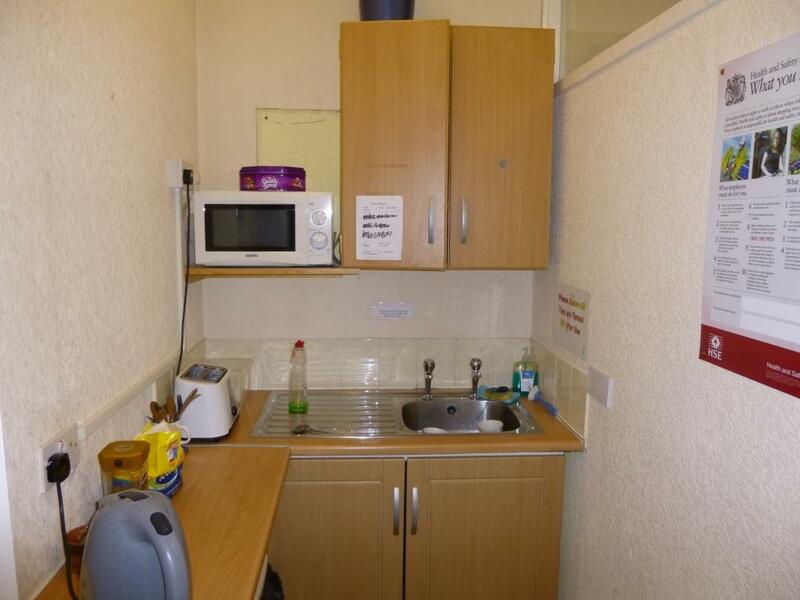 with double glazed windows, fluorescent lights, radiator, power points, telephone/computer point, carpet. with double glazed windows, fluorescent lights, radiator, power points, telephone/computer point, carpet and fitted shelves. On the main road in Marple near the locks. Strictly by appointment with Ian Tonge Property Services, 150 Buxton Road, High Lane, Stockport, SK6 8EA. Telephone 01663 762677.